JERSEY CITY, New Jersey -- A Pennsylvania man charged with trying to drive through the Holland Tunnel with a cache of weapons on his way to rescue a teenager from a drug den will ask New Jersey's governor for a pardon after a judge denied his request to enter a pretrial intervention program. Attorney James Lisa told a judge Thursday that he will seek a pardon after the judge denied allowing John Cramsey, of East Greenville, to enter the program after he earlier rejected a plea. 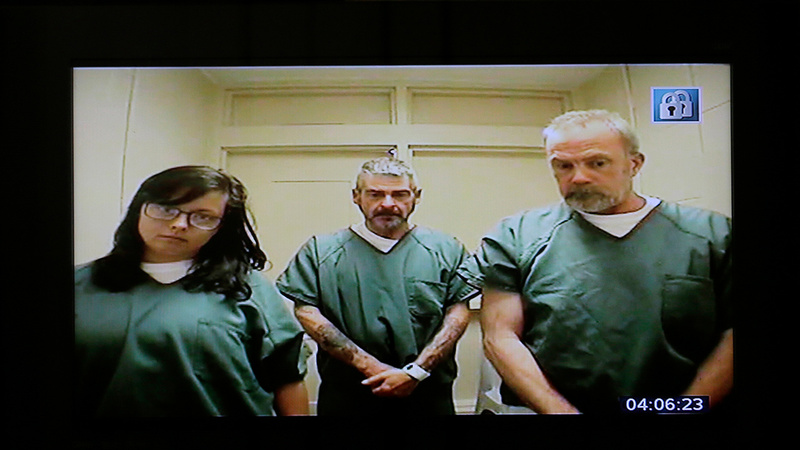 Cramsey, an anti-drug activist whose daughter died of a drug overdose last year, and three others were stopped as they approached the Holland Tunnel connecting New Jersey and New York. Police recovered weapons including a semi-automatic military-style rifle, a shotgun and five handguns, along with other tactical gear. Cramsey's two co-defendants, Dean Smith, of Whitehall, and Kimberly Arendt, of Lehighton, have struck a deal to avoid a trial. Smith, who publishes a local magazine, says he came along to film a video interview with Cramsey. Smith testified at a hearing Thursday that he tried to convince Cramsey to turn around after hearing him instruct Arendt on how to load a shotgun. But he said he didn't stop the car. The Republican Christie has made fighting the opioid epidemic a top priority and has also pardoned other out-of-state residents caught up in New Jersey's tough gun laws. A spokesman said Christie's office doesn't discuss, deny or confirm whether it has received any application for clemency or pardon. New Jersey has more stringent gun laws than Pennsylvania. It doesn't recognize carry permits from other states, and guns in cars must be kept locked and unloaded in a trunk or secure container. Smith was driving Cramsey's neon-painted truck when the group was stopped. According to police, the vehicle was pulled over because it had a crack in its windshield and had some objects hanging from a rearview mirror. The defendants have contended they were actually stopped because of the truck's Second Amendment-themed decorations. Arendt was a former camp counselor of 18-year-old Jenea Patterson, who reached out after another girl she was with died of a drug overdose. Patterson later denied she was seeking help. She died in January of a drug overdose.